Helen Champion’s fascination with the circus began from an early age through visiting various circuses with her grandfather. Always attracted to bright lights, costume, magic and freedom, she rediscovered this passion whilst studying Fine Art at Goldsmiths, and in particular through studying female clowns like Nola Rae and Annie Fratellini. 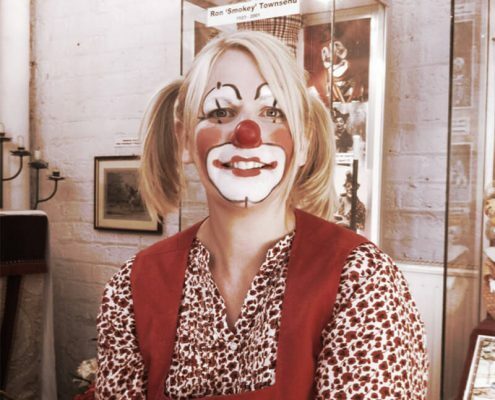 After visiting the Clown Gallery, Helen became interested in the clowns’ friendships with one another and the men behind the makeup, and subsequently made a documentary film with them as they set about relaunching the gallery to the public in 2014. She performs as Zenden the Clown but does get stage fright. 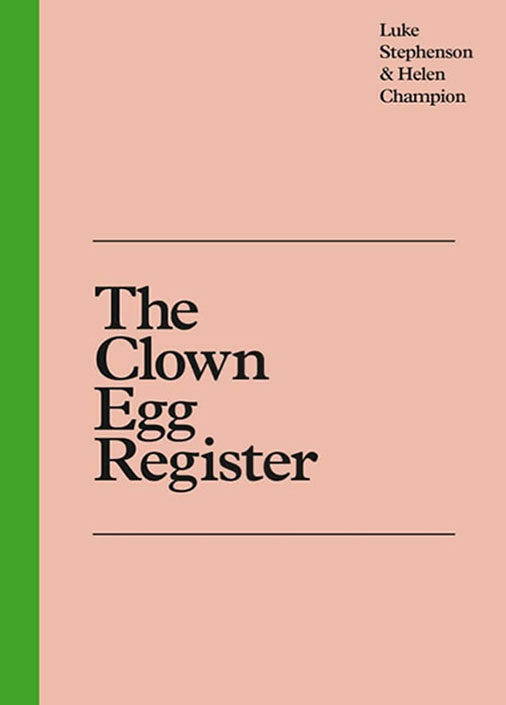 With photographer Luke Stephenson she is the co-creator of The Clown Egg Register (Particular Books).